Swedish Posture presents Posture Mini Gym. A Full Body Exercise Kit For Endless Variations of Training; Anytime & Everywhere. 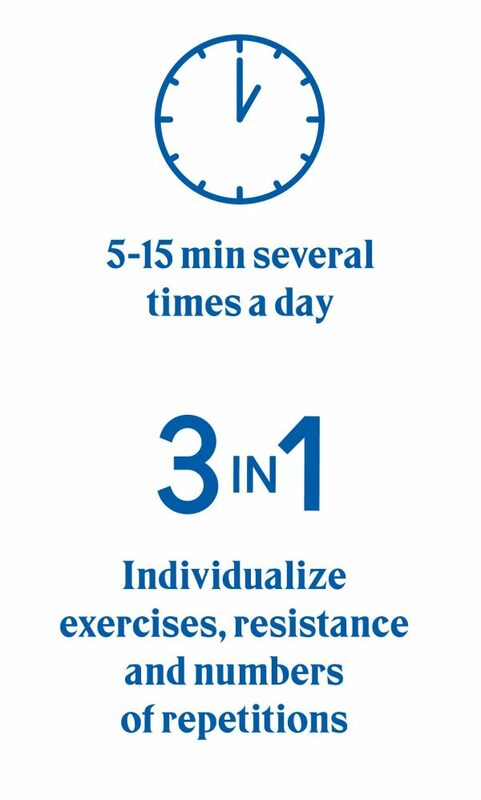 Let Daily Movement and Fitness Exercises become a part of your routines! 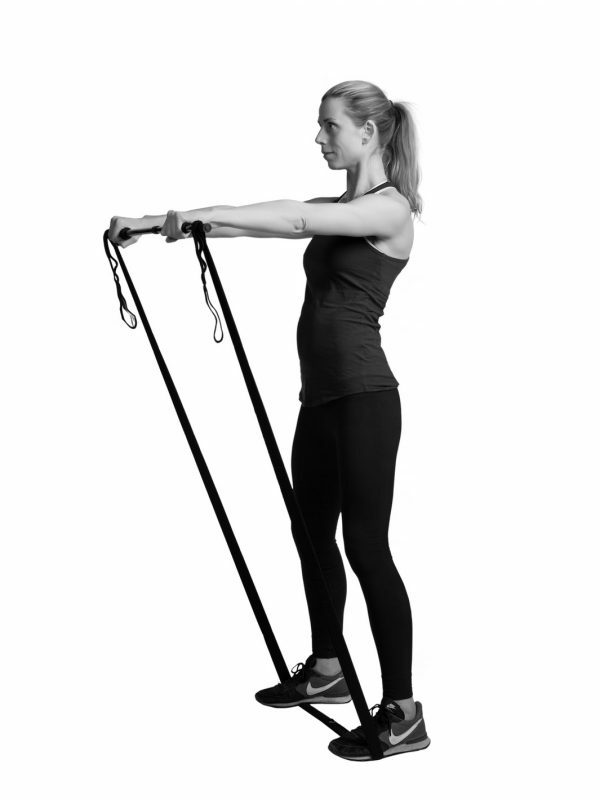 FULL BODY WORKOUT – Posture Mini Gym is a unique combination of familiar tools from the gym set together in a portable mini gym. It gives you a full body workout anytime, everywhere. 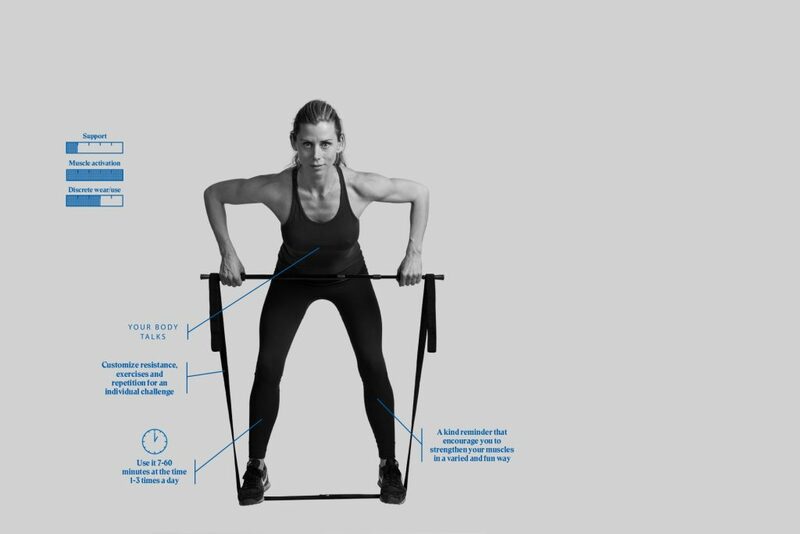 Get ready for full body workout with functional resistance training in the office, at home or on the road. 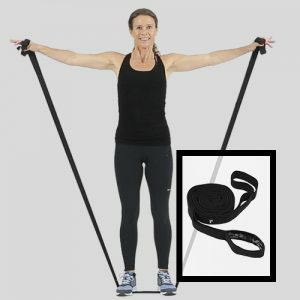 ENDLESS EXERCISES – The short elastic band is for leg exercises. The long elastic resistance band has multiple loops / handles that customizes the resistance and length which gives everyone, regardless of level, a perfect challenge. 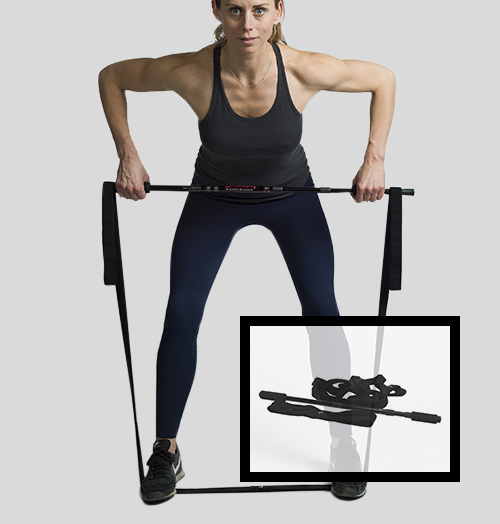 The telescope bar turns the resistance band into a barbell and the door anchor makes combinations of exercises nearly endless. Exercise guide for a varied workout comes with the product. LONG LIFE – With everyday training you live longer. The human body is built for movement, sitting still increases the lipids. Let daily exercise become a natural part of your life. IMPROVED CONFIDENCE – Improved posture makes you radiate body confidence and poise – anywhere at any time. NON ALLERGIC – The woven elastics is non allergic, washable and long lasting. 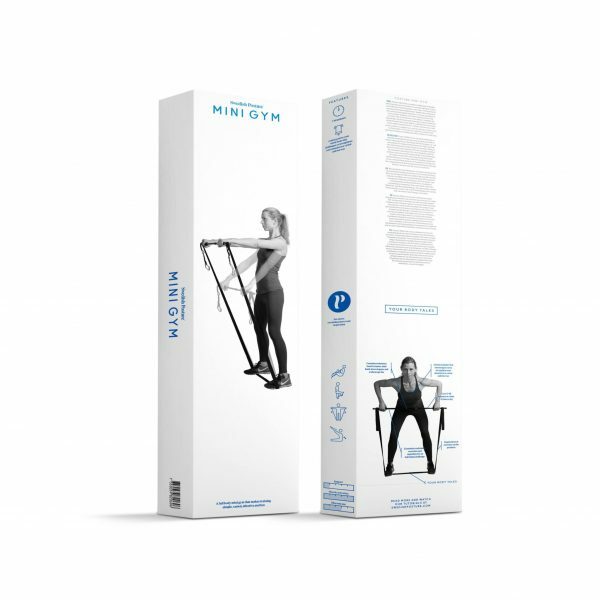 • Posture Mini Gym is a training tool that improves strength and mobility in your whole body. • Posture Mini Gym has endless variation and flexibility of exercises. Use it in the office, garden or living room. 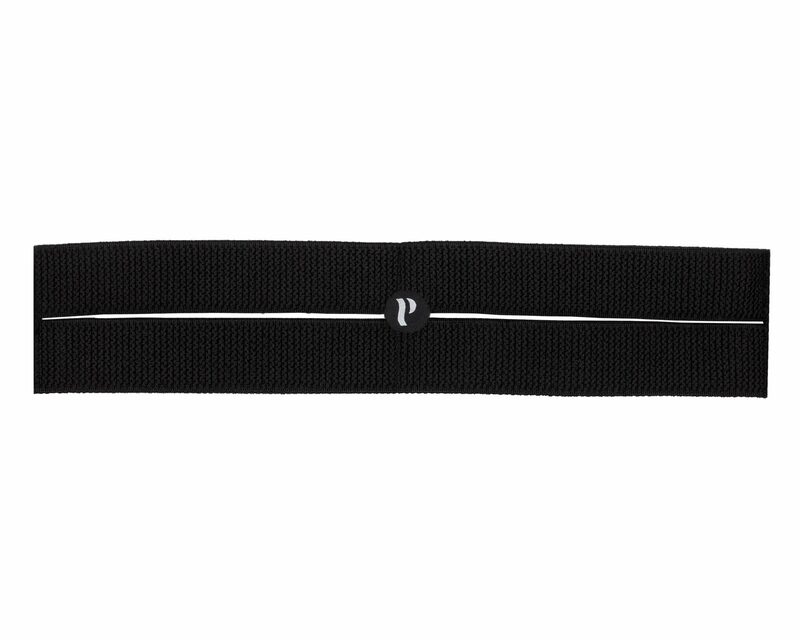 • The telescope bar and the individual resistance loops ensure a perfect fit and challenge for each user and exercise. 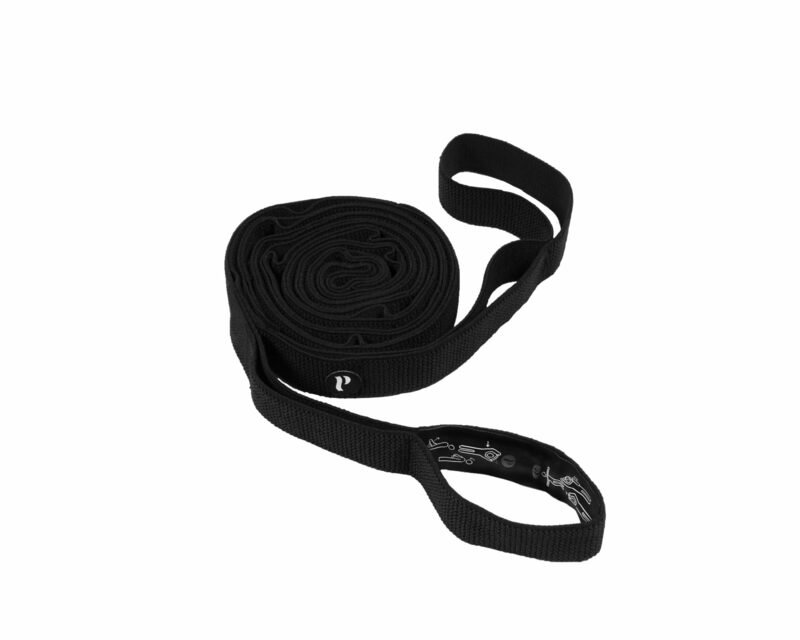 • Resistance cord for functional training. • Use a couple of minutes a few times daily to add movement to your everyday life. • Exercise guide follows on the product.